Condition: Good, general age-related toning. Small worm hole on lower part of folding line. Please study image carefully. Image size: 35 x 27 cm. 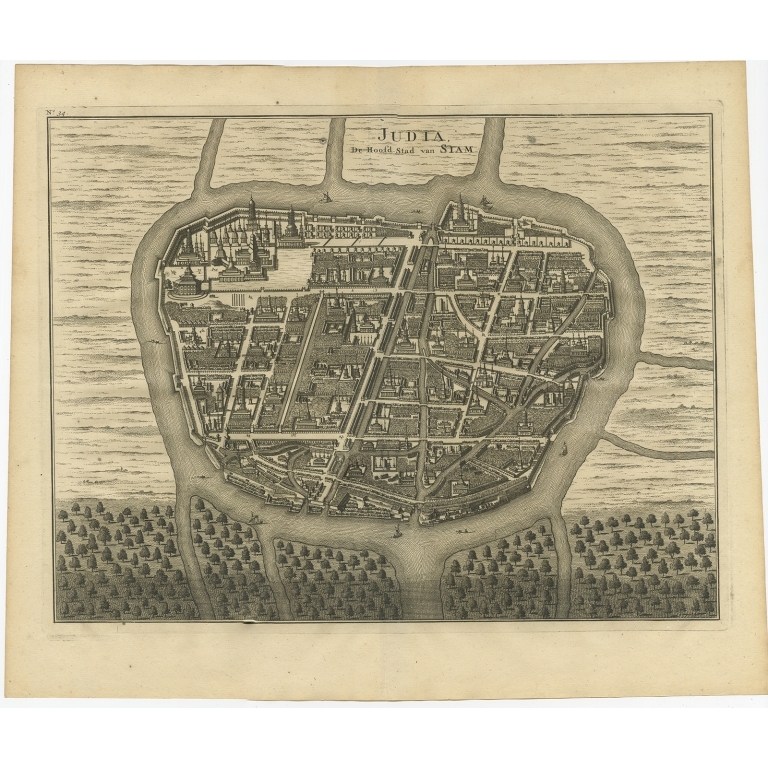 Description: Antique map Thailand titled 'Judia, De Hoofd-Stad van Siam'. 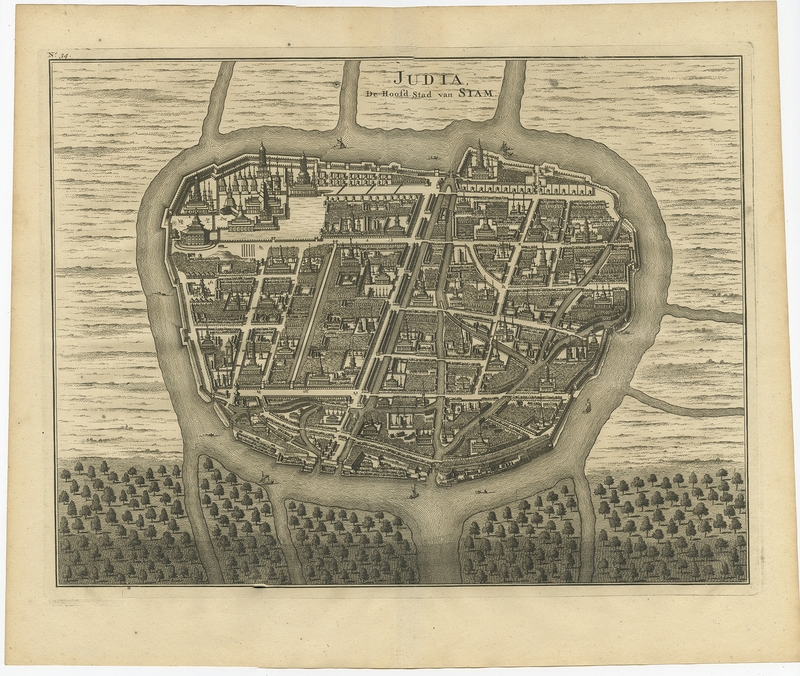 Antique plan of Ayutthaya, the capital of Siam. This print originates from 'Oud en Nieuw Oost-Indiën' by F. Valentijn.